“Mommy! Mommy! Where is my mommy?” a little bunny cries, as they ask all the animals they encounter if they are their mother. SQUEE! 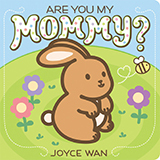 A new Joyce Wan book! I’ve reviewed another in this series and everything I said about In My Forest is true of this book as well. The sense of place is not quite as well defined here, but that’s only because this book focuses more on sustenance (clover, strawberries, and cool water) than on surroundings. And since that’s a decision that makes sense for a series of board books, and creates a richer experience over the course of the series, I can’t fault it or the creators for doing so. Yes, I know that your library probably has more books about colors than you know what to do with, but you’ll want to make room for this one, I promise. 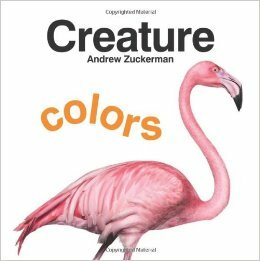 Zuckerman’s brilliant, bright, and detailed photographs really make this book stand out, even if it does sometimes feel like half the animals are birds of one type or another. The deer finger puppet in the center, and the over widening cut-outs around the deer, are what first catch little ones’ attention. (And mine, I must admit.) But Gillingham and Siminovich have managed to create a book that is much more than just that. 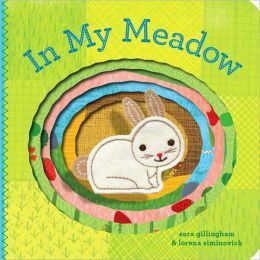 The text is simple and straightforward, but never awkward, and the illustrations are full of texture and interest, yet soft and sweet. 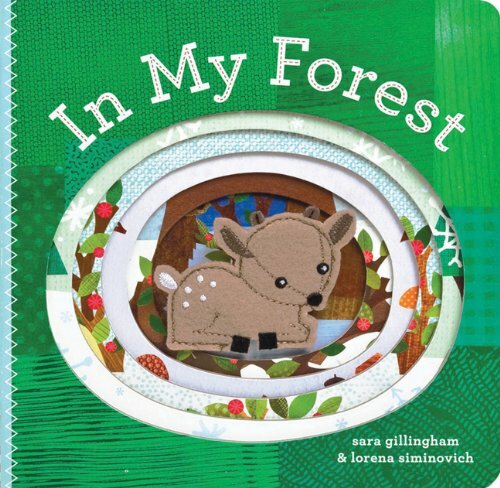 Most notable is the sense of place that Gillingham has managed to create simply by emphasizing the location of the deer as being in the forest, in winter, and combining that with the puppets and cut-outs. A young girl and her family prepare to celebrate the New Year. 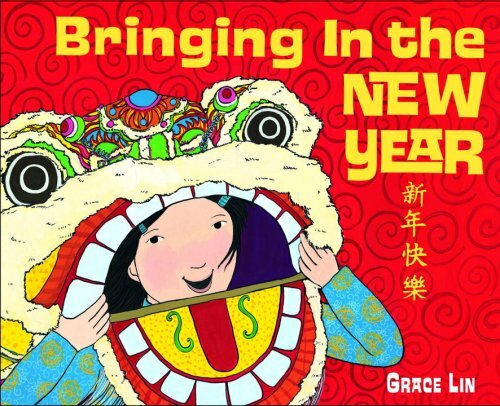 What makes this book remarkable is all the ways in which it isn’t – all the ways that it treats celebrating the Lunar New Year as important and special, but also just as normal or typical as any Western holiday. There’s no introductory explanation of who this family is or where they live or when the Lunar New year is in relation to the Western calendar. It’s simply a listing of all the things that make this holiday special. Just as one might find in a typical (US) book about Christmas or Thanksgiving. By centering the experience of the family in the book, rather than the experiences of others, Lin fosters connection and recognition rather than distance and detachment. Lin’s brightly colored illustrations fit the celebratory tone of the story. They also help to explain and define terms and actions that might be unfamiliar to some readers – without requiring awkward pauses that would interrupt the flow of the story, or a scholarly tone that might depersonalize the festivities. All kinds of wintry things, underneath large flaps. 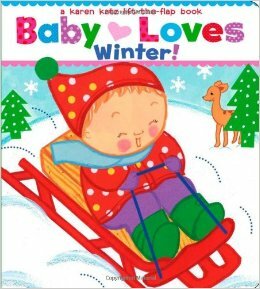 Good book, and large sized flaps are the best, but there’s nothing super memorable here, and I’m getting a little annoyed with the fact that, in this particular series by Katz, “Baby” is always white. 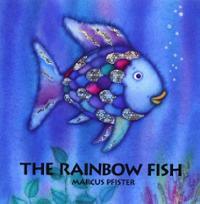 Rainbow Fish was beautiful, too beautiful to play with the other fish. Only, now Rainbow fish is lonely. What will he do? That first sentence up there is almost exactly what the first page says. 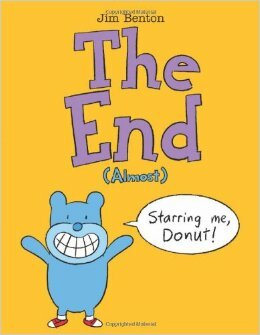 Which tells you all you need to know about this book. I suspect that there’s more text in the picture book version of this story, and perhaps the extra words are an improvement. But yikes! I think the moral of the story was supposed to be about sharing or being considerate, instead the lesson seems to be that you should give away parts of your body so that people will like you. 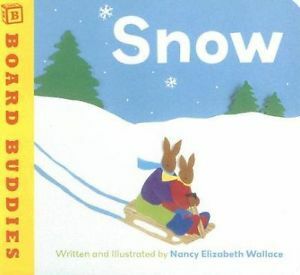 “I have always loved the snow.” Page by page, a young bunny talks about all the things she loves about snow and winter. I always have such high hopes for Wallace’s books; she’s done so many on the kinds of topics that make for great preschool themes. And yet…the text is always matter of fact, there’s no rhythm or elegance to it, and the illustrations are readable but lack inspiration or harmony. They’re always just serviceable enough, but never really well done. Despite the page layouts being slightly busier than they ought to be for a board book, this is an excellent concept book for little ones. National Geographic’s stunning photographs are put to good use (badly photoshopped cover notwithstanding), as they always are. 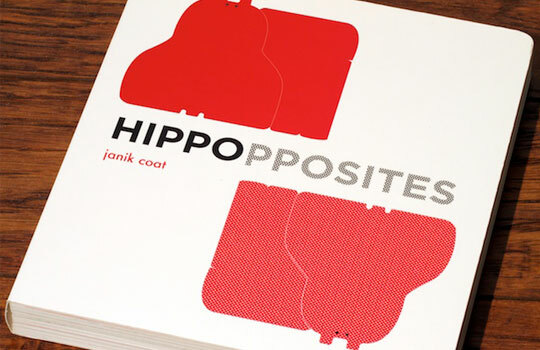 It also goes beyond the typical set up for such books; after each type of opposite is introduced in the traditional way (an image illustrating that particular pair, and the accompanying text) it doesn’t immediately move onto the next pair. 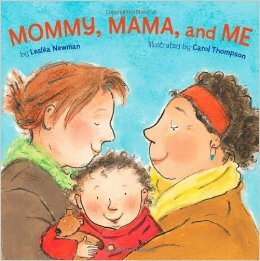 Instead, the following pages then present a similar, but more complicated picture, as well as questions that invite parents and toddlers to have deeper conversations about the concept. The layouts on these pages could use some cleaning up, but they do an excellent job modeling for parents how to engage their children in dialog about the books they are reading. I adore Joyce Wan’s You are My Cupcake and We Belong Together, so I was very excited to stumble across My Lucky Little Dragon on display at the bookstore. 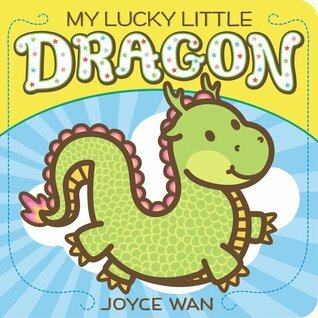 Just like the other two board books, My Lucky Little Dragon features a different endearment on each spread, this time focusing on the 12 animals of the Chinese Zodiac. Wan’s illustrations are just as adorable as always and full of personality. They also feature a variety of colors that pop! off the page, yet remain soft and almost pastel, rather than being limited to high contrast primary colors. 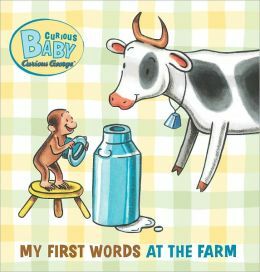 Just as the title says, this board book is about farm related words, consisting of illustrations and the names of various nouns included in the pictures. The illustrations themselves will likely delight it’s target audience, but the choice of font and words are questionable. It’s not an awful book, but there are much better books out there available for the same price. 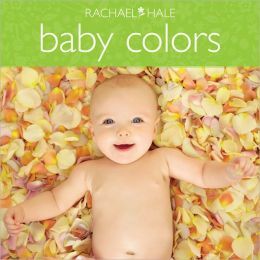 If you recall, Hale is also the author/illustrator of Baby Giggles, which was cute, adorable, and well put together – but extremely homogenous, in terms of the kinds of babies being photographed. Baby Colors still treats white as the default, but manages to have closer to a quarter or third of the children pictured be children of color. The rhyming text works, although the colors being discussed aren’t always as prominent as they could be. 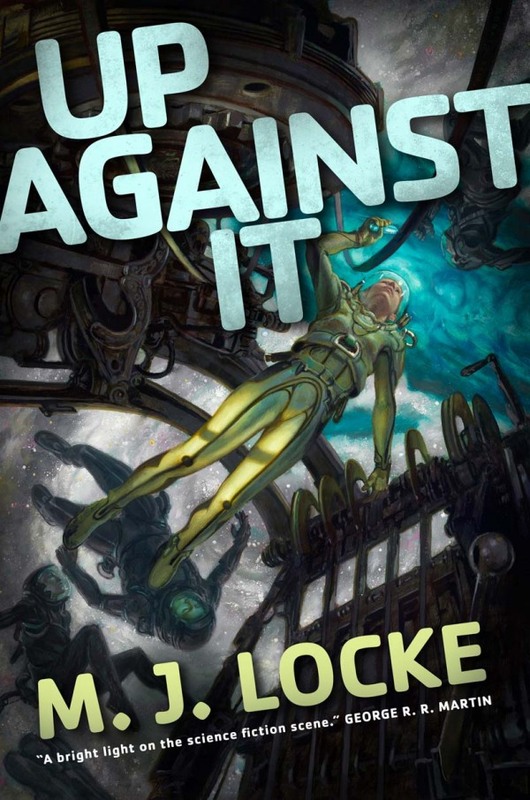 Overall, a good book to have in the collection, despite it’s flaws. 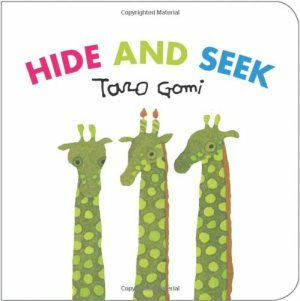 A young boy and his even younger sister attempt to play hide and seek, but the younger sister doesn’t quite understand how to play. 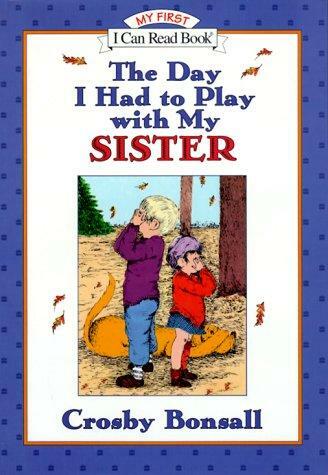 For some strange reason I remember liking this book as a kid. Which makes me wonder about the overall quality of easy readers available at the time. To be fair, there is humor here, and it’s the kind of humor that your average seven year old with a younger (or older) sibling can relate to. The illustrations in particular haven’t aged well though, and it’s a meaner type of humor than, say, what readers find in the Piggie and Elephant books. Born in Mexico, Diego Rivera traveled to far off places, like Madrid and Paris, to learn to paint. But it was back home in Mexico where he made his most celebrated paintings – murals that depicted the lives of the citizens of Mexico. Ordinary people as well as rulers, workers and warriors, all from both the world around him and from his country’s past. If Rivera were alive today, what parts of your life do you think would be in his murals? 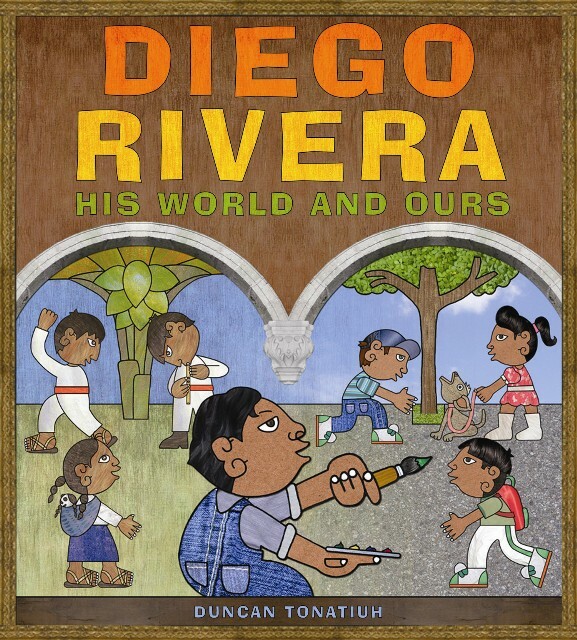 Diego Rivera does a wonderful job of explaining this artist’s work to children. While it does include some biographical information in order to give context to his work, that isn’t the focus. Instead, the book talks about Rivera’s artistic choices and the history and culture that his work brought attention to. Tonatiuh’s own art is one of the highlight’s of the book; while clearly different from Rivera’s in style, the same influences of history and culture are evident, making it perfect for this topic. 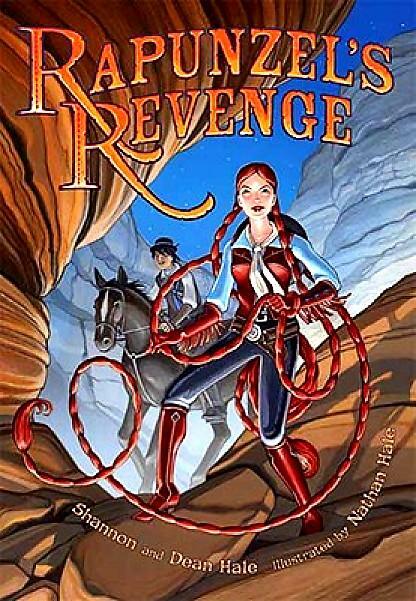 The strong outlines, rich colors, consistent posing, and symmetry make the illustrations easy for children to read, while the depth of textures, the range of expressions, and variety of settings, actions, and clothing styles invite them to look deeper. Tonatiuh also ends the book by asking children to think about what kinds of murals Rivera might paint today, comparing and contrasting luchadores with Aztec warriors, students with factory workers, and malls with street vendors. * In doing so he emphasizes the impact that Rivera’s work had on ordinary, everyday people, and encourages children to see their own lives through new eyes. * Also science fiction movies with Aztec gods? I don’t know what that was about, and it came across as rather disrespectful to me, alas. Aneel love having his grandparents around. Especially when Dada-ji tells him stories about the village he used to live in when he was a boy, and the hot, hot roti he would eat to build up his strength. How else could he wrestle water buffalo or make the earth rumble beneath him? 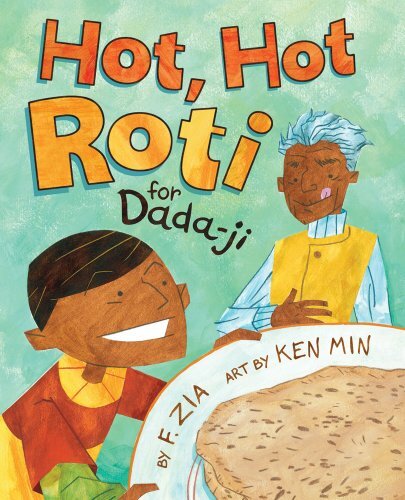 Soon, both Aneel and Dada-ji are both hungry for some hot, hot roti. But no one will help Aneel make any! So he decides to make some himself. There’s a lot to love in this book. The writing is solid – it works well as a read-aloud and incorporates Hindu words and phrases without breaking the flow of the story or making it seem like we are getting a language lesson. The plot is complicated for such a short book (with flashbacks and tales within tales and going back and forth between the real and the fantastic) but it’s never confusing or distracting. The pictures match the story perfectly as well, and Min does a wonderful job of illustrating in such a way as to help younger readers distinguish between the here and now and the tall tales Aneel’s grandfather tells him. 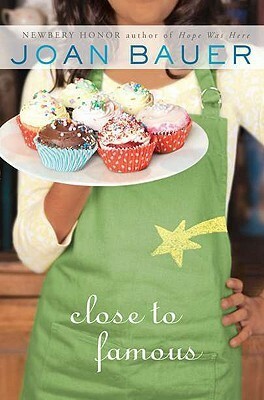 Overall, it’s a sweet story about family, home, and spending time with loved ones. Winter has arrived, and Christmas is on it’s way. 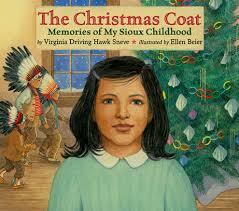 Virginia longs for a new coat to keep her warm, one that fits just right. Especially when she has to walk through wind and rain to get to school. As her community prepares for holidays, Virginia does her best to think of others, but that doesn’t stop her from longing for a coat that’s just right for her. 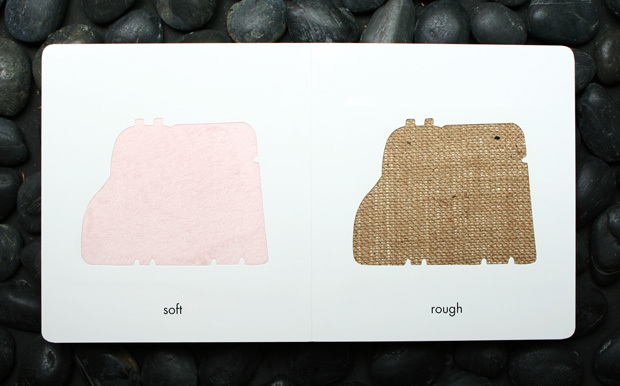 A cute and different type of “can you spot the difference?” book. Can you spot the candles on the giraffe? 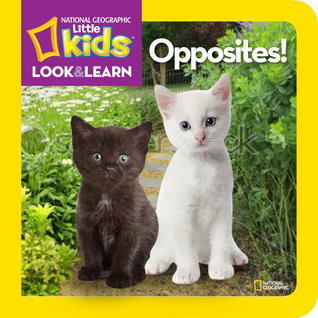 Very small children may need help finding the objects listed in the rhymes, but the visual repetition and adorable animals will delight children of all ages. 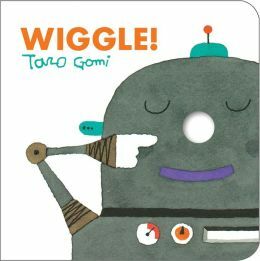 With a little imagination, and Gomi’s delightful illustrations, your finger can help make a cat’s tail wiggle, a chameleon’s tongue stick out, or an elephant’s trunk swing. Not all of the actions quite work (the crocodile flashes his fang?) but all are sure to amuse.